Big or small, inexpensive or extravagant; creating your outdoor space is an investment in your home and your peace of mind. 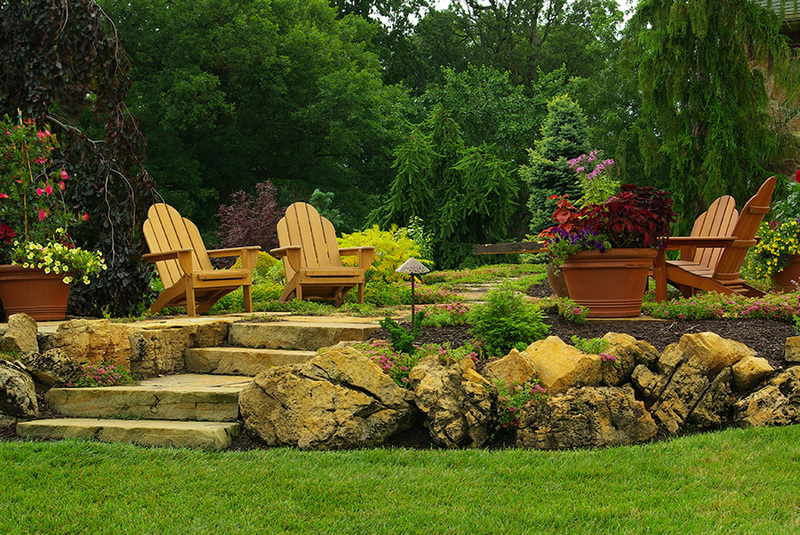 The whole point of creating an outdoor space is to more easily spend time outside in the fresh air. There have been numerous studies depicting the health benefits of being outside. Not only are you getting healthy outdoors, but having a nice outdoor living area helps bring your friends and family together to socialize. When you are talking about the size of your backyard patio bigger can be better, but not always. There are many variables to consider when figuring out how large you want your patio to be. Do you entertain often? If so, how many people typically come over? You might want a large area for people to mingle. On the other hand, if the patio is smaller the party will be more intimate and likely to bring people together. Imagine sitting around the fire on a wonderful spring evening enjoying the company of family and friends. Fire, like water, attracts all of us like bees to a hive. Often the combination changes a home from ordinary to being the “go to” house. The neighbors and their kids will always want to be over reminiscing of fun times and creating new memories. The best part is always knowing where your own children are. They are at home! A proper firepit installation is designed according to the grade and space available. The fire pit and the patio around it can be made using natural stone, bricks, or dimensional cut stone. A wall can also be built around the pit to be used as a seating area or a place to set your beverage or snack. Often our clients choose to have a gas line installed for a simple key start for the fire. No more singed eyebrows and empty cans of gasoline. Be sure to have ample snacks and drinks on hand and you will be sure to have plenty of guests for years to come. The draw of an outdoor oasis is enormous. The kids will enjoy being home more and even when they are rambunctious teens they will be right outside safe and sound. Family, friends, and fire. What a joy!